Typically, the stages of one-to-one coaching and mentoring start with a diagnosis, getting right to the core of what the problem(s) are in your current business plan and practice. We'll also look at the opportunities that can be taken in the future, and the changes that need to be made to reach those goals. We'll set in place the plan to fix these problems and capitalise upon them to effect change. We'll then support you during implementation of the plan, so you won't feel cast out into the wilderness. Part of our support includes the ethos that you should 'just do it!'. 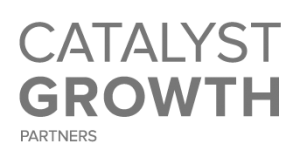 Using Catalyst Growth Partners to grow your business is not simply watering a flowerbed – we'll hold your feet to the fire in order to make sure you're achieving your aims in the most effective way possible. We know from experience that reaching goals can be hard, so we'll be the catalyst ensuring you don't falter or lose traction. Finally, we'll review and assess whether your initial objectives have been met; what worked, what didn't, the success of the plan. We'll then move on to the next challenge, with an iron-clad process of approaching the next stage of your business' growth.